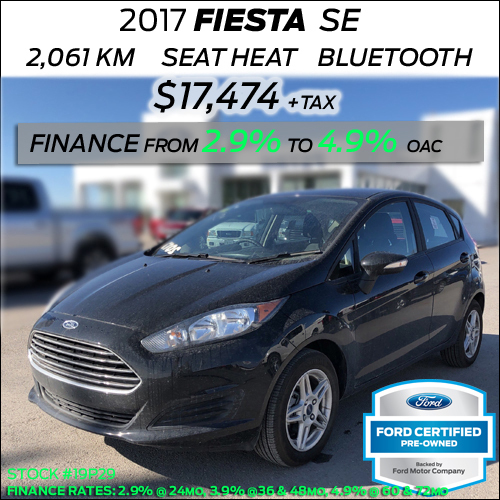 ﻿ Spring Sale at Petrie Ford! 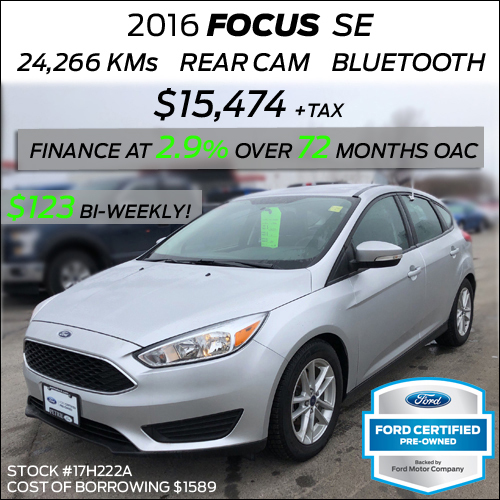 ALL CERTIFIED-PREOWNED COME WITH 1yr / 20,000km PREMIUM FORD WARRANTY! JUST A FEW OF THE MANY GREAT DEALS WE HAVE! By submitting a form, I consent to the collection, use and disclosure of my personal information as described in this paragraph. I agree that the personal information provided above may be used and disclosed by Petrie Ford and/or its agents or service providers (collectively, the "Dealer") as necessary. *Upon confirmation of registration and the purchase of a vehicle during the event period of Mon. April 1st, 2019 - Tues. April 30th, 2019 customer will receive a $250 Gas Card at time of delivery. 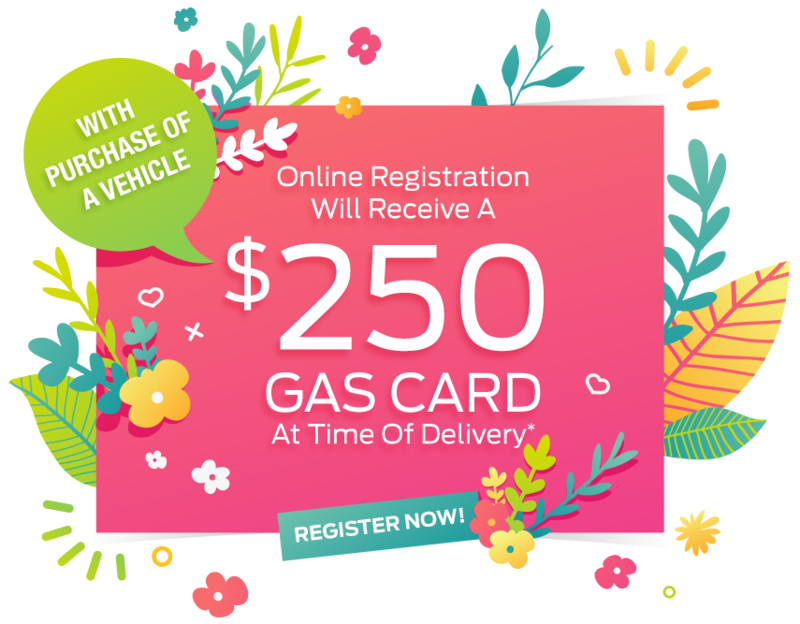 You must be registered for the sale prior to signing a bill of sale to be eligible for the gas card promotion. **One (1) Keg gift card. Draw will be held May 3rd at 12pm. Only those who entered correct contact information on this promotional page will be entered into the draw, no exceptions. Only one (1) entry per household, phone number or email. Those who are not acting within the spirit of the promotion will be automatically disqualified without notice. 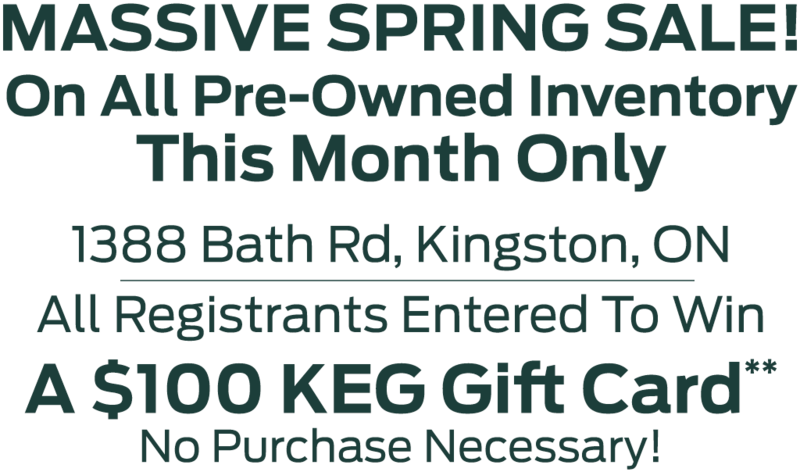 Register for the Spring Sale at Petrie Ford!